OSWEGO, NY – On Thursday (June 11), at approximately 5:20 p.m., investigators with the Oswego County Drug Task Force and Oswego City Police Department acted on information regarding a possible methamphetamine lab at 196 E. Second St., Oswego. Investigators spoke with occupants of the residence and received consent to search. Materials and equipment utilized to manufacture methamphetamine were observed within the home as well as a garage on the property, according to police. The NYSP Contaminated Crime Scene Emergency Response Team was contacted and responded to the scene. As a result of the search, laboratory equipment, chemical reagents, precursors and solvents used to manufacture methamphetamine were seized, police said. Less than one gram of methamphetamine was also recovered. Sivils and Leahey were arraigned in Oswego City Court. 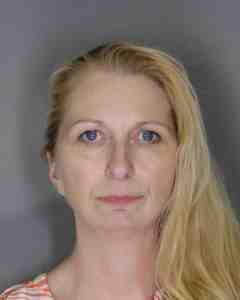 Sivils was remanded to the Oswego County Correctional Facility in lieu of $5,000 cash bail or $10,000 bond. She is scheduled to return to Oswego City Court on June 23 at 9:30 a.m.
Leahey was remanded to the Oswego County Correctional Facility in lieu of $2,500 cash bail or $5,000 bond. 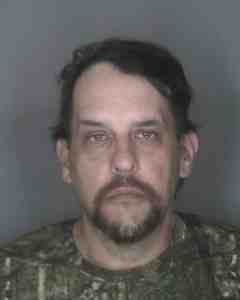 He is scheduled to return to Oswego City Court on June 15 at 10:30 a.m. The investigation is ongoing and further arrests are a possibility.